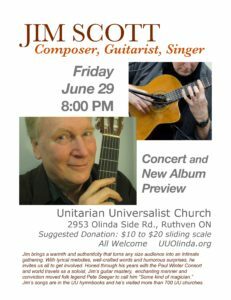 Jim Scott has brought his contemporary and multicultural music to more than 700 UU Churches over three decades. His much loved “Gather the Spirit” and a number of others are included in the UU hymnbooks. Former Co-chair of the UU Ministry for the Earth, Jim was involved in creating the “Green Sanctuary” program. 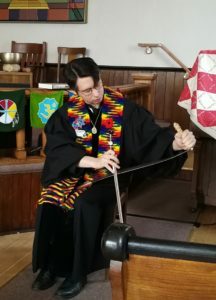 He was awarded a grant from the Fund for Unitarian Universalism to compile and arrange the Earth and Spirit Songbook, 110 songs of earth and peace, acclaimed as a great resource for worship and RE programs. Though often brought in as the “speaker,” Jim’s services are always very musical. Jim speaks with passion on ecology, justice and peace. His lyrical poetry and stories are calls to action, full of hope and gentle wit. With degrees from Eastman School of Music and Berklee College, Jim often works with choirs on his compositions and arrangements, inspiring singers to new levels of expression. As song-leader he lifts joyous participation from congregations. 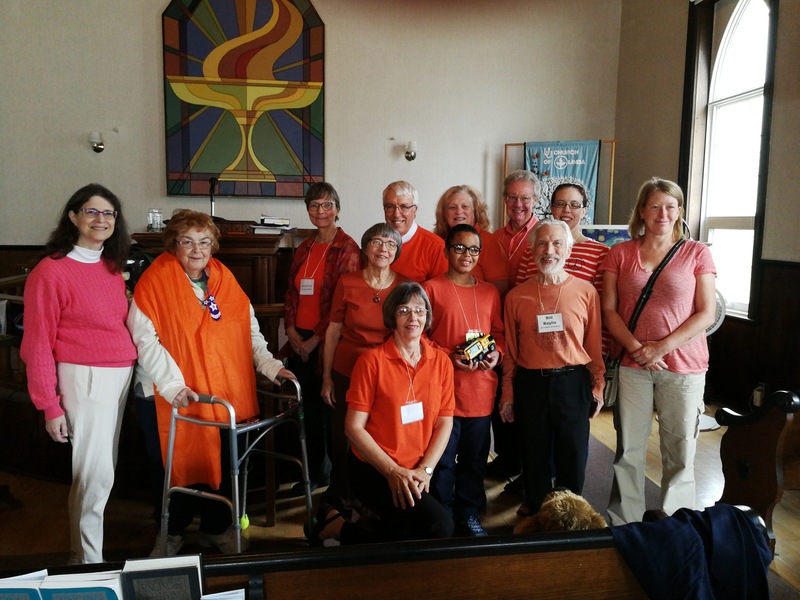 Longtime member of the Paul Winter Consort, Jim co-wrote their celebrated “Missa Gaia/Earth Mass” and sang their signature song “Common Ground.” His eco-anthem “A Song for the Earth” was recorded at the United Nations. Jim has gone on to create an extensive body of work including PBS soundtracks, award winning choral works and seven CDs of original music. On his new CD “Gather the Spirit,” Jim is featured leading choral arrangements of his songs from the UU hymnbooks and other new creations. He’s taught courses at such prestigious schools as Oberlin College and been an Artist in Residence in many schools and universities.